The Hawke Vantage 8x42 binoculars are designed to maximise value and performance, without breaking the bank. 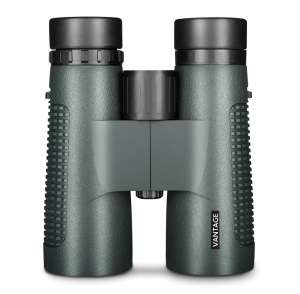 Using a waterproof chassis and fully coated optical system, Vantage binoculars are the perfect choice for casual nature observers. The fully coated optical systems are encased in a polycarbonate body. Image reproduction is clear with true colour. The rubber armour features a rugged feel chunky grip available in green or grey. A stylish package at an affordable price, the Vantage range comes complete with everything required for an incredible viewing experience. Three stage twist-up eyecups on both full size and compact Vantage models allows you to set the correct eye relief for a full field of view.